We have been allocated our PLANNING APPLICATION NUMBER, and the consultation period is now open. The consultation period will end on 15th March 2019. It is crucial you, as villagers have your say. Please register your comments at the Wealden Planning Portal. This is a very important stage in the planning process and the outcome of the application will be hugely determined by the amount of local support provided. We need as many residents as possible to respond with letters of support. Our thanks to all of you who have supported the project to date, we have until 15th March to comment directly on the Wealden Planning Portal or by letter. All the planning documents are available here on our website. If you, or anyone you know, has limited or no internet access and would like paper copies please contact Bob Lake on 01825 830857. 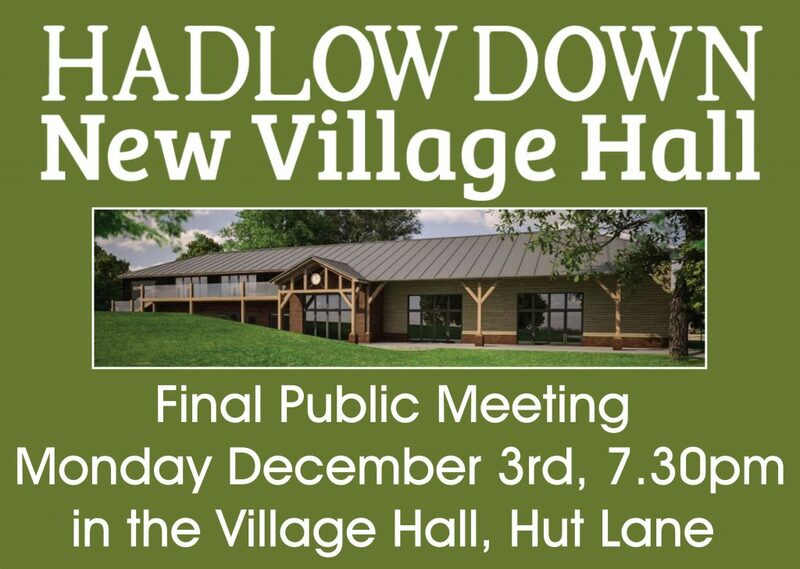 The public meeting held by the Hadlow Down Community Centre Committee on Monday 3rd December was an important landmark in the development of the project for a new village hall and sports facilities. The purpose of the meeting was not only to share with parishioners the design of the building and invite comment but also to map out future milestones; the most important being the lodging of a full planning application with Wealden District Council. This was submitted during the same week and although being led to believe that the validation period would be completed within approximately three weeks, we are still awaiting Wealden to do so. In the meantime have had to have a Noise Survey undertaken (£1960 inc VAT) and payment of an additional planning fee of £462. Now we are awaiting notification from Wealden Planners with regard to the beginning of the three week consultation period. As soon as we are informed, we will let you know; this is a very important stage in the planning process and the outcome of the application will be hugely determined by the amount of local support provided. We need as many as possible to respond with letters of support and we will advise nearer the time on how you can do this. Finally, we know that the capital sum to be raised will be in the region of £1.2 million and we will need help in so many ways – marketing and promotion, fund-raising via modest and ambitious local events, fund-raising via social media platforms such as Just Giving, Crowd Funding, through donors, company giving and grants. If you feel that you can help, please don’t hold back and lend us your support. At last we are at the stage when the planning application can be submitted to the local planning authority. But, before doing so, the trustees would like to conduct a final community meeting. Its purpose will be to share with you the design and lay-out of the proposed building, details of the planning process and timescales, anticipated cost and how we intend to raise the funding. It is important to us that as many people in Hadlow Down are involved. We do hope you will join us. Welcome to the news and comment pages for the New Village Hall. Here we plan to keep you up to date with all the developments in our efforts to fund and build a wonderful new hall for our community. We would love to hear your thoughts, please feel free to comment. 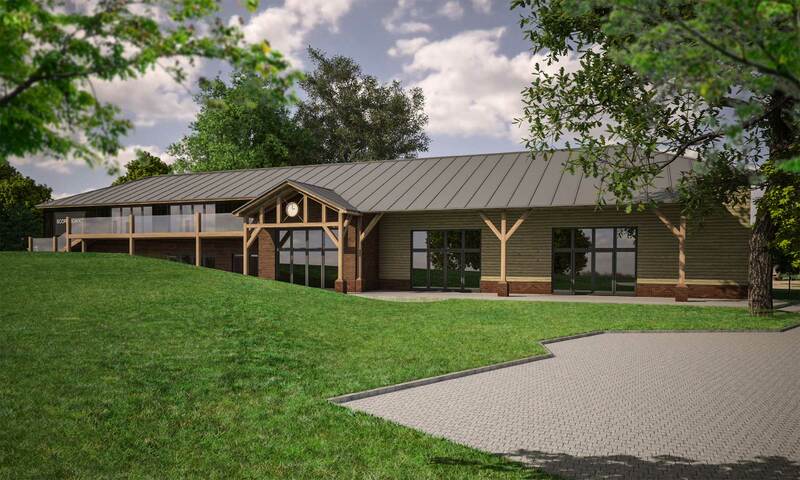 Further to your feedback at the public consultation meeting this summer, the plans for the new village hall have been revised. You can view the new plans on the PLANNING page of this site. The combination of a newly designed village hall, the green outdoor space and the new children’s playground will provide an all encompassing meeting place for families and residents, enabling events such as village fetes, children’s parties, clubs and family events (enhanced by the grassed area outside), together with the existing and new village hall activities. The sports facilities will also be much improved including better changing rooms and showers. Internal accommodation will be flexible enough to encompass existing social and sporting activities whilst providing space for new ones. External space will be improved to include a picnic area, new play area, whilst retaining the existing football area and cricket wicket. 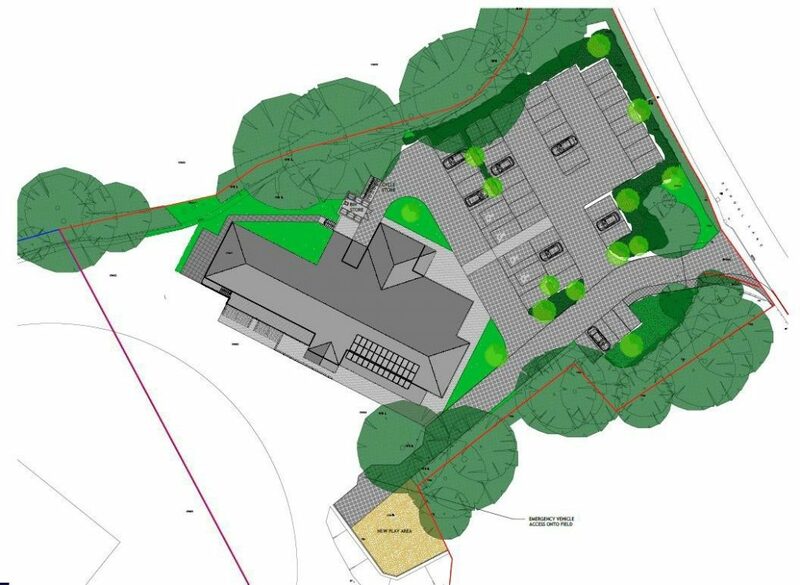 It is the hope that this will become a social hub for the village which the present village hall, with its size and outside facilities constraints does not allow. This is a huge project and we would welcome anyone who shares our goals to come and join the committee. If you have experience of a similar project or have expertise in fund-raising, publicity, planning applications, building or just “good at getting things done”, we would love to hear from you. Could you help with the more practical aspects of the building and the design? Have you a trade? Plant and equipment? Know about renewable energy? Low carbon design? Perhaps you would like to make a donation? The list goes on… e-mail us at info@newvillagehall.co.uk or leave a comment here. New Village Hall Funds raised so far. Created using the Donation Thermometer plugin https://wordpress.org/plugins/donation-thermometer/.1.000.000£100£0%. By joining the Lottery Club, you can make your contribution to the new Village Hall and ensure that Hadlow Down will have a suitable building to be used and valued by all the residents in our community for many years to come. The Hadlow Down Lottery Club is a private lottery and is open to all Hadlow Down parishioners and the surrounding area, their family and friends. Tickets are £12 annually and you can buy as many as you like! For more details see our fundraising page or email us.